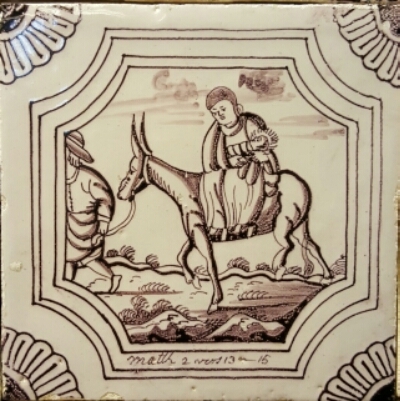 Yesterday was a grey and drizzly day, just the right sort of day for a museum outing, and a perfect chance for us to explore the Tegelmuseum (Tile Museum) in Otterlo, a half hour drive from Baarn. I didn’t think to take a photo of the museum itself because I got so caught up in its contents. The museum was once a private home and still has the sense of having been lived in, with a few of the features still in evidence. 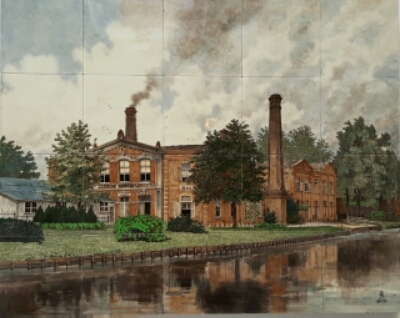 The last inhabitant, a gentleman by the name of G. Feenstra, devoted his life to collecting tiles, and then provided for his home to be converted to a museum after his death so that his collection could be both preserved and enjoyed in perpetuity. It is a friendly little museum, calm and welcoming, without any sense of trying too hard. The tiles themselves are the main features, without any complicated gimmicks or interactive displays. I found spending time with the tiles to be quite an emotional experience. They are such simple little things, but so evocative, and often quite exquisite. The tiles range from simple and pale to ornate and colourful, but it was the older, paler ones that moved me most deeply. Many told stories, some of them the biblical stories which which I am familiar, and I enjoyed picking out the familiar themes as portrayed by various artists, often as part of broader tableaus. I was fascinated by the simple depictions of daily items, things that I could recognize from my own life as a homemaker and needleworker. As always, I am fascinated by the daily lives people lead, not just their epic moments. 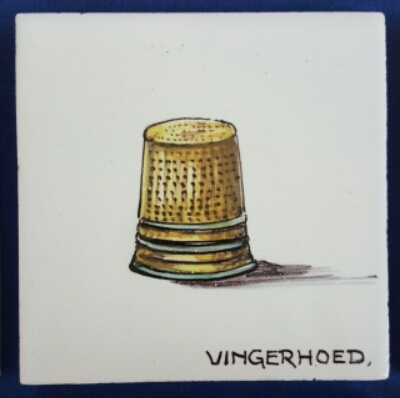 The birds, the flowers, the household implements show up as miniature depictions on the tiles that would have so artfully adorned a house or public space. Their familiarity invited me in, made me feel welcome and at home, while the artistry both enthralled and delighted me. 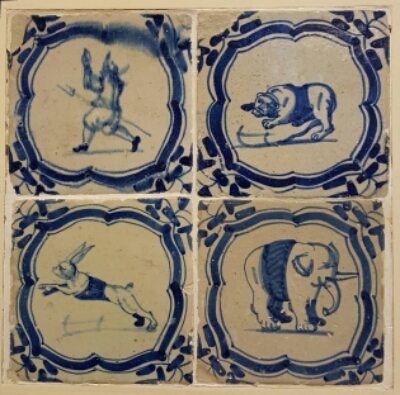 Tiles have been a part of Dutch life for centuries, installed to protect and decorate homes and farms, particularly in and around fireplaces. 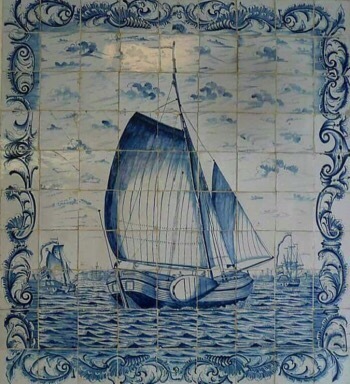 The earliest tiles were polychrome, with the decoration becoming more colourful as the artform developed. 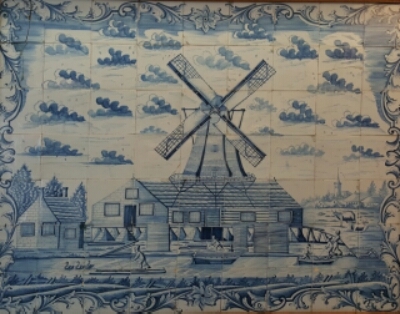 Dutch tiles are often still handpainted, though many modern tiles are mass produced by means of mechanical colour printing techniques.